Soporset Digital Performance is a reliable and cost effective digital paper, which can be used for all high quality 2-4 color digital print jobs. It is avaiable in a broad range of weights and sizes specially engineered to perform across a wide spectrum of a digital imaging machines. 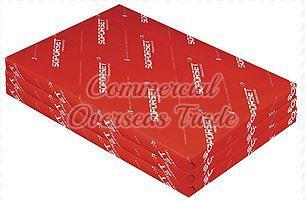 Looking for Soporset Offset Paper? Nonpareil supreme 20/22 raw almonds.